Northern Goose was established in 1976 by Donald Salkeld, as a small family owned hatchery. Years of tireless work led to Donald achieving an unprecedented level of hatchability in geese not experienced before in the industry, thanks in part to his engineering mind and in part to his countless nights of sleeping next to the barns. Determined to further put to use his engineering capabilities, Donald decided his next project was to begin expansion into processing for food, and thus Northern Goose Processors was born. 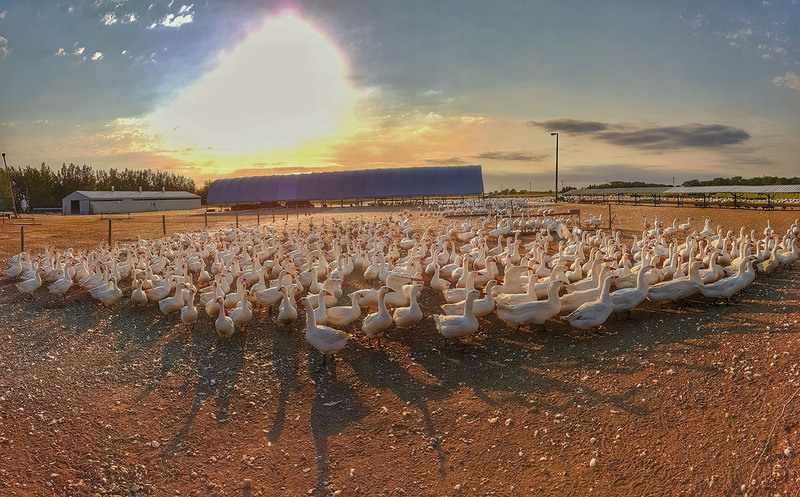 Over the next several years, Don grew Northern Goose Processors from a solely local into a Federally regulated operation, at its peak selling hundreds of thousands of geese around the world. After many years of success but no succession plan in place, Donald decided to sell Northern Goose and move on in 2011. One of the first calls he made was to a former customer, to whom he sold Feathers and Down. After a deal was reached in 2013, Northern Goose was sold to another family ownership group and continues to be a privately owned and operated company. Upon finalization of the sale, owner and President Bryan Pryde, along with many former plant staff, invested heavily to strip down and rebuild Northern Goose into a state of the art facility. Specializing in the processing and sale of premium and naturally grown Goose, Northern Goose supplies to grocery, specialty grocery, restaurant & hospitality, and directly to local consumers. 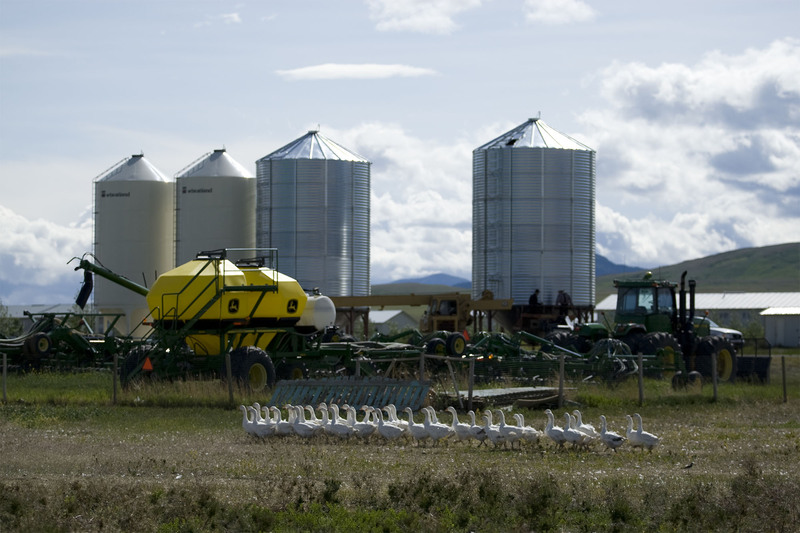 Birds are procured directly from local goose farmers, and all birds are raised naturally outdoors and grain fed, both from manual and natural grazing sources. Northern Goose also procures and processes down and feather by-products of the food production, creating a minimal waste environment. All other by-products are either rendered or naturally disposed through the local waste treatment lagoon, resulting in a low-impact and environmentally conscious process. Since its inception, Northern Goose Processors has maintained a policy of honesty, integrity and responsible treatment of animals, always focusing on the importance of selling a high-quality but humane and compassionately sourced product. We pride ourselves on our strong code of ethics, and we hold our company, associates and products to the highest standard. Bryan Pryde, the President & CEO of Northern Goose, is also President & CEO of Feather Industries (Canada) Limited, as well as President of the Down Association of Canada (Downmark), of which Feather Industries is a founding member. Downmark is a non-profit organization with a mandate to educate the public about down and feather products, as well as requires its membership to procure down and feathers from Humane Sources. Downmark also monitors the marketplace, to ensure down and feather products and advertising adhere to Federal and Provincial government regulations. Northern Goose is also committed to maintaining a strong sense of corporate social responsibility. It has researched and developed methods to make our processing more efficient and eco-friendly, specifically when treating wastewater effluent during the processing cycle, which reduces the impact on the wastewater lagoon. Furthermore, all detergents used in cleaning are food grade and approved by the Canadian Food Inspection Agency. All of the products used to treat the feather and down by-products are gentle detergents to extract grease and dirt and are biodegradable, as are all of the by-products produced in the processing of our down and feathers. Regardless, Northern Goose has a policy to continually look for more ways and better methods to reduce waste in all aspects of the process. Northern Goose Processors is proud to be a strong advocate for the fair and humane treatment of animals. All of the raising and processing of geese is operated under strict control of the Canadian Food Inspection Agency (CFIA), which absolutely forbids any form of animal abuse. All stages of production at Northern Goose are conducted with CFIA staff on site which includes both veterinarians and inspectors. Further to this, Northern Goose does not engage in the practice of any religious or ritualized processing at any time. All feather and down products are harvested following government regulations which means no live plucking. As mentioned, all our feathers and down procured are a by-product of the processing. Several times each year, senior staff personally visit our approved supply vendors (farms) to ensure our business partners follow an agreed upon ethical code of conduct. Copyright © 2019, Northern Goose. All rights reserved.